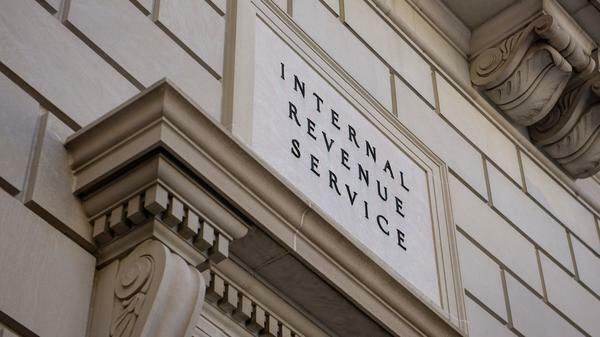 The IRS has extended the filing deadline because of technical problems. Taxpayers now have until midnight Wednesday to file their returns or extension requests and pay their taxes. "Individuals and businesses with a filing or payment due date of April 17 will now have until midnight on Wednesday, April 18. Taxpayers do not need to do anything to receive this extra time," the IRS said in the statement. Problems on the site surfaced early Tuesday and key services remained inaccessible for most of the day. But according to the IRS, the site was fully functional by evening Eastern time. "This is the busiest tax day of the year, and the IRS apologizes for the inconvenience this system issue caused for taxpayers," said acting IRS Commissioner David Kautter. "The IRS appreciates everyone's patience during this period. The extra time will help taxpayers affected by this situation." The IRS advised taxpayers to continue to file their taxes as normal Tuesday evening – whether electronically or on paper. For hours, online tax filers trying to use the IRS.gov website early Tuesday to view an outstanding balance, make a direct payment or set up a payment plan encountered the following message: "This service is currently unavailable." "We apologize for any inconvenience," the website said. Other methods for paying tax bills, including paying through tax-prep software, remained available throughout the day. The IRS also encouraged anyone seeking to file an extension to use a software provider. The IRS has not identified a cause of the outage, although it says it appears to be a hardware-related issue. Earlier Tuesday Treasury Secretary Steve Mnuchin described the problem as a "high volume technical issue." Plenty of Americans routinely cut it close to the deadline: According to the IRS, last year, 5 million tax returns were sent in on the last day of filing season. In a press release last week, the IRS touted its "new mobile friendly website" as a helpful tool for "people who need last-minute tax information." "As the tax deadline nears and the demand for IRS tax help by phone is higher, the IRS encourages taxpayers to make IRS.gov their first stop when questions arise," the agency wrote.